Spittlywood Ltd were recently commissioned to create and install new wooden windows to this period property, our team are so proud of the end results that we simply had to share them with you. When our customers purchased this property, they did so due to the obvious potential of the home, unfortunately, over the years there had been several changes to the original look of the home including the decision to install standard UPVC windows. Naturally, our team were eager to get their hands on the UPVC windows and dispose of them; plastic windows have their place, but that place certainly wasn’t this lovely period building. In short the existing windows and doors simply did not suit the property. When undertaking this sort of project, it is important to take into account the look of the other buildings in the area, unfortunately it proved difficult for us to discover the exact style and type of the original windows. 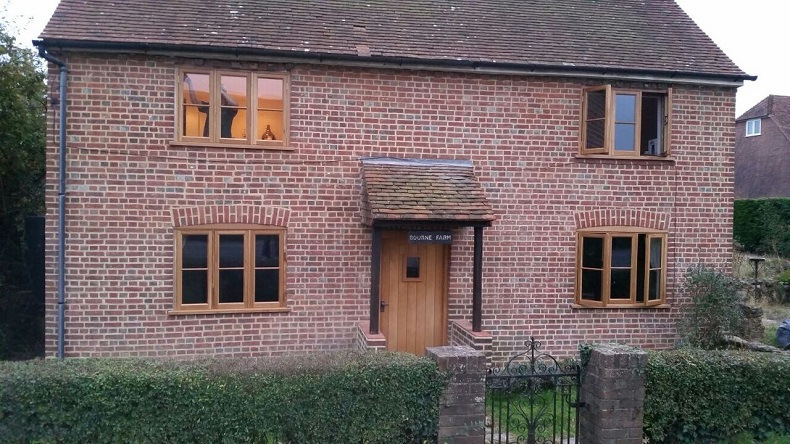 By looking at nearby properties It became evident that the best option for the job in hand would be wooden casement windows a number of properties in the village are finished in this style. We took the decision to use European oak which is also commonly referred to as English Oak; this wood is incredibly hard wearing, and it’s naturally yellowish brown colour perfectly complements the restored brickwork at the property. 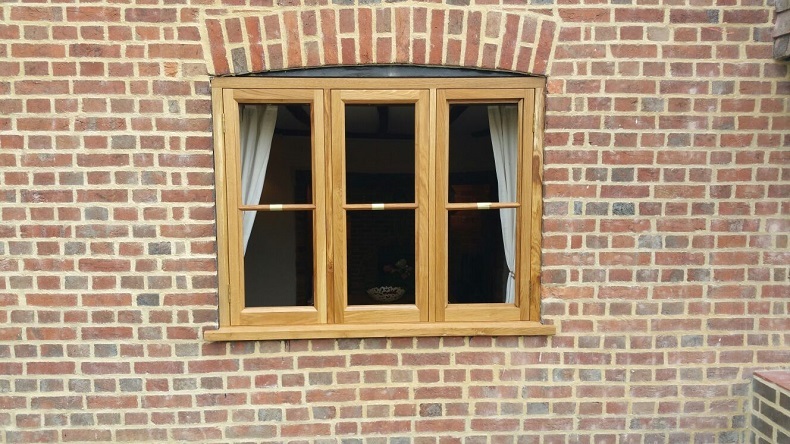 By using specialist window design software, we were able to give our customer a realistic view of how their new wooden casement windows would look. That is where the technology started and ended! Spittlywood are traditional joiners and make bespoke windows in the traditional way. Our team produced the casement windows, and wooden doors at this property using virtually the same bespoke joinery techniques that would have been used during the original installation well over 100 years ago. Both customers and staff were more than happy with the result, in summary, this building in High Halden near Ashford Kent has been lovingly restored to near it’s original state. Our team were more than happy to have played their part. If you are currently undertaking a renovation project and are keen to replicate the properties original windows and doors feel free to contact Spittlywood Ltd, our passionate team live and breathe bespoke joinery and will be happy to help. We also handcraft Sash, Tilt and Turn, and Swing Frame windows.